Notre Dame’s Center for the Study of Languages and Cultures has partnered with the Kaneb Center for Teaching and Learning to offer the Ursula Williams Faculty Fellowship. The fellowship connects foreign-language faculty with technology experts at the CSLC and Kaneb Center and supports research to help faculty members determine which technological tools are most helpful in language classrooms. Chengxu Yin, associate teaching professor of Chinese, was selected as the first Ursula Williams Faculty Fellow in spring 2015. 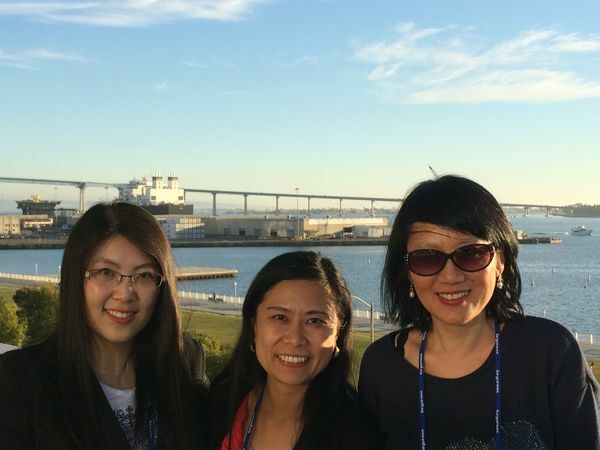 Yin was inspired to apply for the fellowship to develop a hybrid model language class, blending traditional class time with online learning for her Chinese I course. During the semester-long fellowship, Yin met with CSLC and Kaneb Center specialists for one-on-one workshops to discuss and develop strategies and resources she could incorporate into her teaching. During this time, she also performed research on the advantages and disadvantages of traditional and flipped language classrooms, which she presented in November at the 2015 American Council on Teaching of Foreign Languages (ACTFL) conference in San Diego, California. In fall 2015, Yin offered the hybrid Chinese I class to Notre Dame students. Supplementing traditional classroom instruction with online videos and activities, she decreased meeting times from five to four days per week. Yin noted that this schedule made the class more attractive to busy students and inspired students to take ownership of their own language learning. In addition, quantitative analysis on language scores showed that students from the flipped class outperformed students from the traditional class in quiz, homework, and oral exam scores. Because of its success, Yin said the hybrid model will be kept in the Department of East Asian Languages and Cultures in the future. The CSLC and Kaneb Center sponsor one Ursula Williams Fellow per semester. Applications for the fall 2016 fellowship are due on Friday, February 5, 2016. To learn more about the program and for application instructions, please visit the CSLC website.